I'm growing two white aubergine (or eggplant) plants on my rooftop: I tought they would only produce a few fruits, but they're incredibly productive. 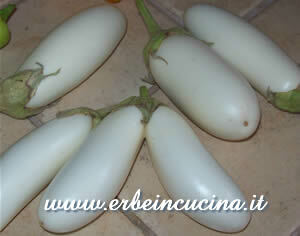 I'm harvesting dozens of small long white eggplants, delicate and delicious. 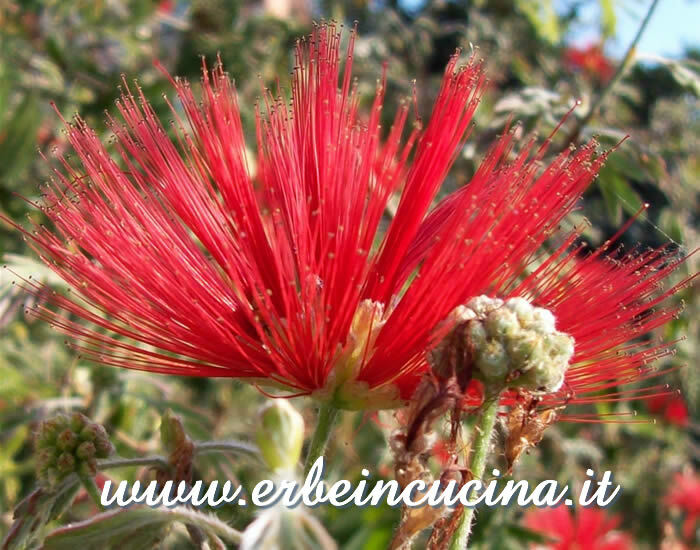 They're perfect for frying: simply remove the stalk and cut into slices. It is not necessary to keep them in salted water like other types of eggplant. Cut the eggplant into slices 1 cm thick and fry immediately in hot oil, turning when golden. Remove from pan and keep aside. Cut the onion into slices and stew it with a little oil for about ten minutes until transparent. Remove from heat. Beat the eggs and pour into a large pan. Let set a few minutes. 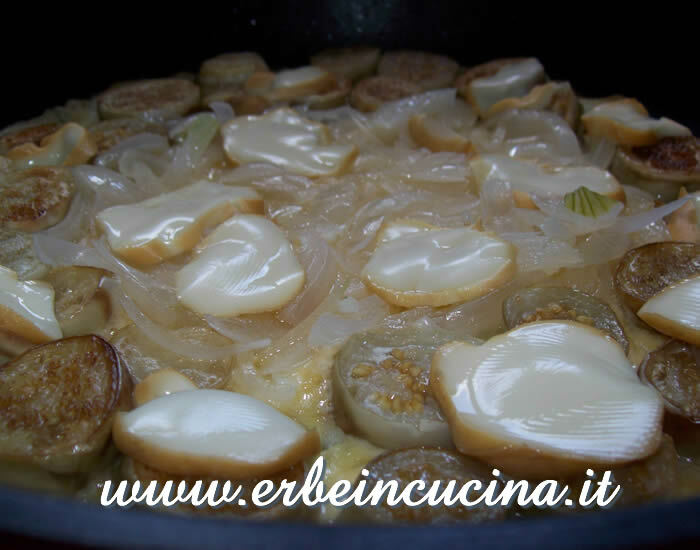 Arrange the eggplant slices on the frittata, in an outer circle, and the stewed onion slices in the center. 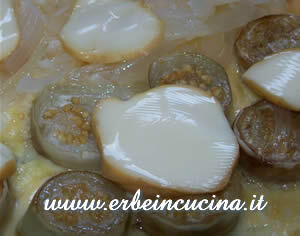 Distribute the smoked scamorza and cook covered for a few minutes until the cheese is melted. Do not turn the omelette, but serve it immediately. 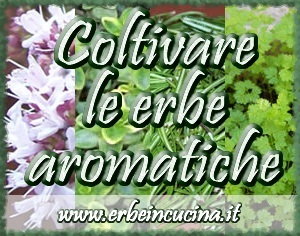 This is my contribution to Weekend Herb Blogging, an event handled by Cook (almost) anything at least once that I'm proud to host this week.